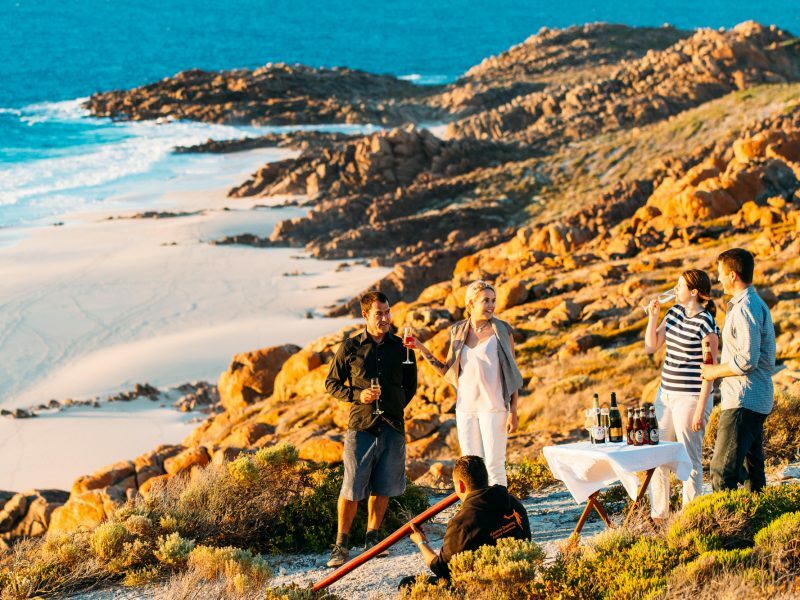 Western Australia is home to the Margaret River wine region; the picturesque location of food and wine festival, Gourmet Escapes. This is a unique 3-day festival where over 100,000 passionate foodies have attended and with a star lineup of Nigella Lawson, Rick Stein and Monica Galetti and more! If you’re a foodie planning on attending, why not do an extended exploration of the region – we can create your dream holiday. Even if the festival is not for you, Western Australia is an incredible place to explore. We’ve put together our own top 3 Gourmet Western Australia ideas to help in your decision! Looking for the perfect holiday combination with your Gourmet Escapes festival ticket? 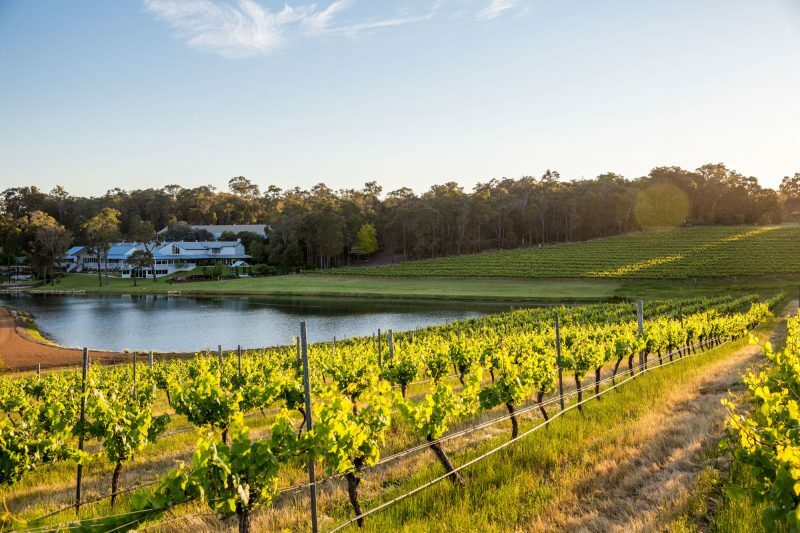 Not only does this include an exclusive small group and tasting of Margaret River wineries but also a whale-watching expedition and deep cave exploring. 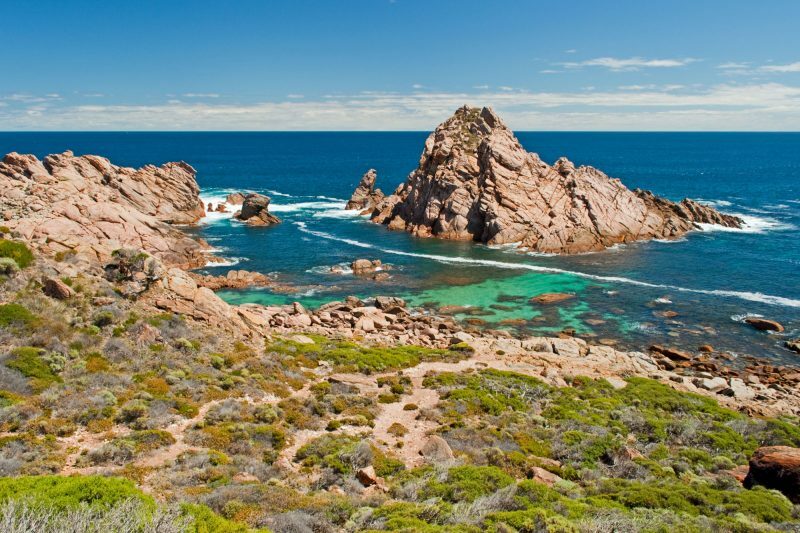 It will take you further along the south coast via historic Albany to Esperance, gateway to five national parks including Cape Le Grand, famed for its dazzling sandy beaches and excellent hiking opportunities. Consider adding this Western Reef Adventure before or after the festival? This spectacular self-drive takes you from Perth to Exmouth. With deserted white sand beaches fringed by the inviting blue waters of the Indian Ocean. Here you will find World Heritage sites and marine reserves, home to an array of wildlife including sharks, whales, dolphins and dugongs, as well as the spectacular Ningaloo Reef Marine Park with its incredible coral gardens and abundance of brightly coloured fish. After a weekend of pure indulgence on food and wine, take a guided walk along the stunning Cape to Cape track. 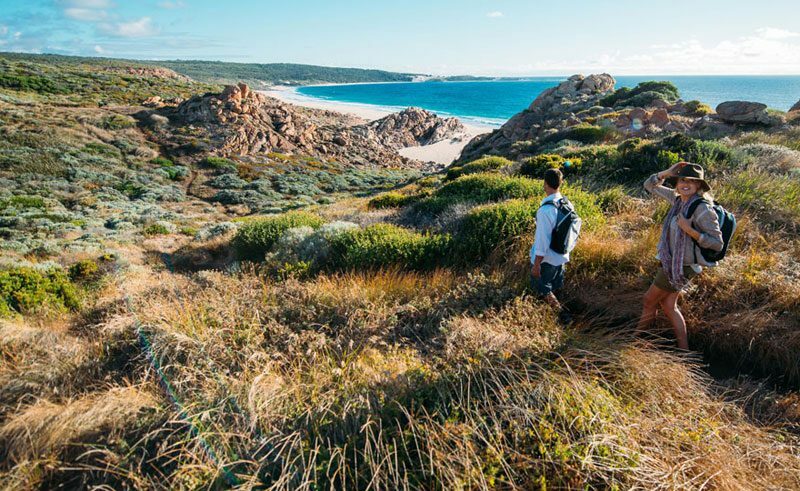 Located close to the festival in the Margaret River region, walk over white sand, limestone cliffs, old 4wd tracks, granite rock and bushy tracks! If these itineraries do not excite you, then speak to one of our Australia experts as wherever your interest lies, we can tailor-make a WA holiday just for you. Don’t forget that the festival could also be tailor-made into your Western Australia itinerary. Want More Western Australia Inspiration? Fringed by the Indian Ocean this escorted tour combines the wonders of the west. This short self drive itinerary showcases the very best of Australia’s Coral Coast. Stop a while and enjoy the charms of this laid-back city.